"The Mind Man" is a very highly recommended read. It has everything you want from a good book - love, suspense, murder and suspicion. The story first introduces Adam when he is a young boy, growing up in a small town in the '80s, dealing with unsupportive parents, bullies & heartache, with only pet rabbits to confide in. A very shy, isolated character who's dreams are filled with murder and revenge...but is it possible these dreams can come true? The story then transports into the future and other characters are introduced and their lives developed. Initially I felt slightly 'lost' as the characters all seemed disjointed from each other and from the original direction the story appeared to be taking. But then Adam is quickly reintroduced into the plot and the lives of the characters begin to tie in with each other. It would seem (for a while, at least) that Adam' s childhood dreams DID come true after all. When we next meet him it appears Adam has developed his childhood abilities in order to better himself. He is an incredibly rich and successful individual, who it seems is able to use the power of telekinesis to create fatal accidents in a bid to amass more wealth for himself. Whilst he lives a lavish lifestyle, it comes to light that the main reason for requiring such power and fortune stems back to his childhood love of animals and a desire to protect and care for animals in Africa. I would definatly recommend this book. Each chapter ended asking more questions making you want to read on. The characters are well developed and despite everything Adam has created, you can't help but want his life to get better, due to the childhood struggles he endured. The book finished with a real cliffhanger- I can't wait for the second instalment. 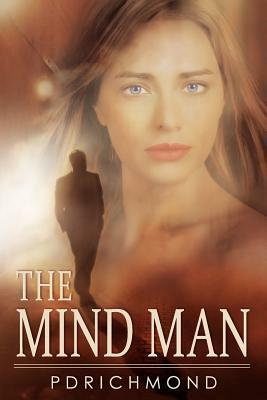 Sign into Goodreads to see if any of your friends have read The Mind Man.